This spiked icicle headdress features 9" long clear acrylic icicle spikes and various size acrylic snowflakes. 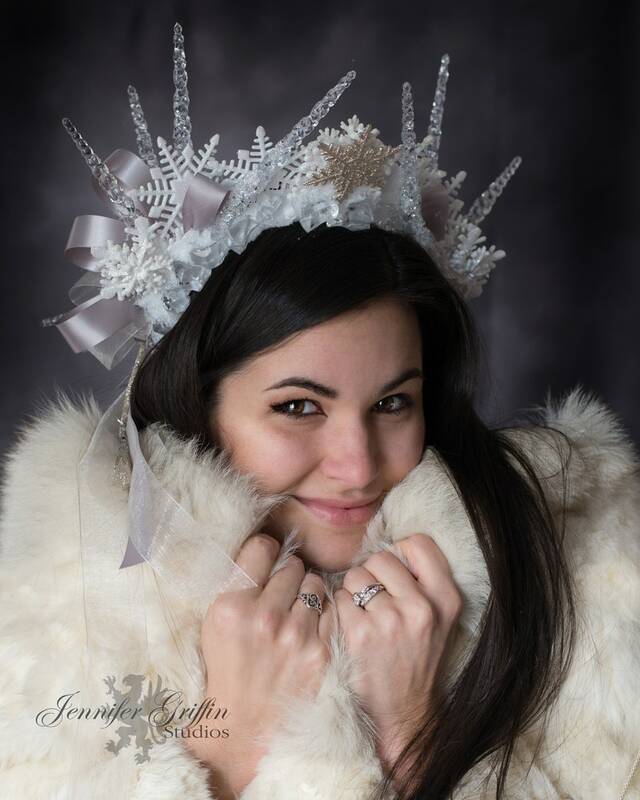 Faux snow and German glass glitter add sparkle and elegance to this snowflake headdress. 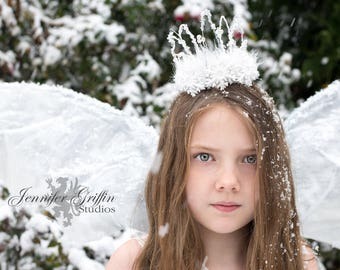 Add this snow head piece to your snow queen costume, ice queen costume or snow fairy costume for added whimsy and magic. 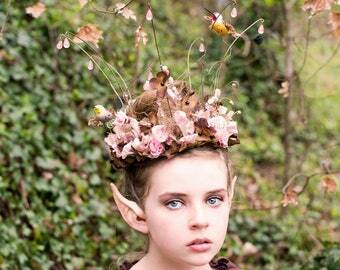 It can also be worn for winter festivals, a winter wedding, or hand fasting ceremony. It attaches to your head like a headband and has white elastic to hold the light weight, ice, head piece on. 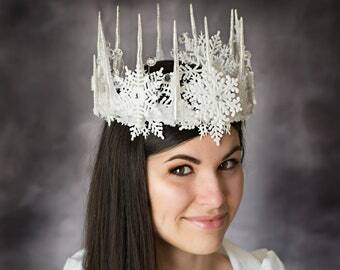 This unique snowflake crown has free standard domestic shipping!